Our personalized Washed Camo Twill Cap w/ Accents is a medium profile six panel structured baseball style hat. Prepare for the cooler months with a Port Authority Ladies Camouflage Microfleece Full-Zip Jacket that features thumbholes and a tapered fit. 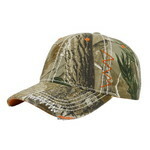 The embroidered logo Sport-Tek CamoHex Cap is woven from 100% polyester twill fabric with a structured appearance. The screen printed logo Sport-Tek CamoHex Cap is woven from 100% polyester twill fabric with a structured appearance. Our screen printed Sport-Tek Ladies CamoHex V-Neck Short Sleeve Tee Shirt features sublimated digital camp print. This screen printed Sport-Tek Men's CamoHex Fleece Pullover Sweatshirt has digital camo print. This screen printed Sport-Tek Men's Short Sleeve CamoHex Tee Shirt combines elegance and performance. The screen printed Sport-Tek Men's Sport-Wick CamoHex Fleece Colorblock Pullover Sweatshirt features moisture wicking abilities. Our screen printed Sport-Tek Youth CamoHex Short Sleeve Tee Shirt combines performance and elegance. 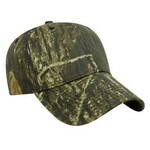 Our promotional Structured Six Panel Camo Cap is a medium profile six panel structured baseball style hat. The custom logo Washed Camo Twill Cap w/ Accents is a low profile six panel unstructured baseball style hat.